Activities included for 2017: Scuba diving (full PADI certification required), horse riding, sea kayaking, sunset dhow cruise, scheduled snorkelling trip, castaway picnic, island expedition and local village tour, birding and guided nature walks (subject to availability and weather conditions). Fantastic dhow beach bar right on the endless sandy beach is a great place to chill out with a few cold ones – and because it faces west you enjoy spectacular sunsets! 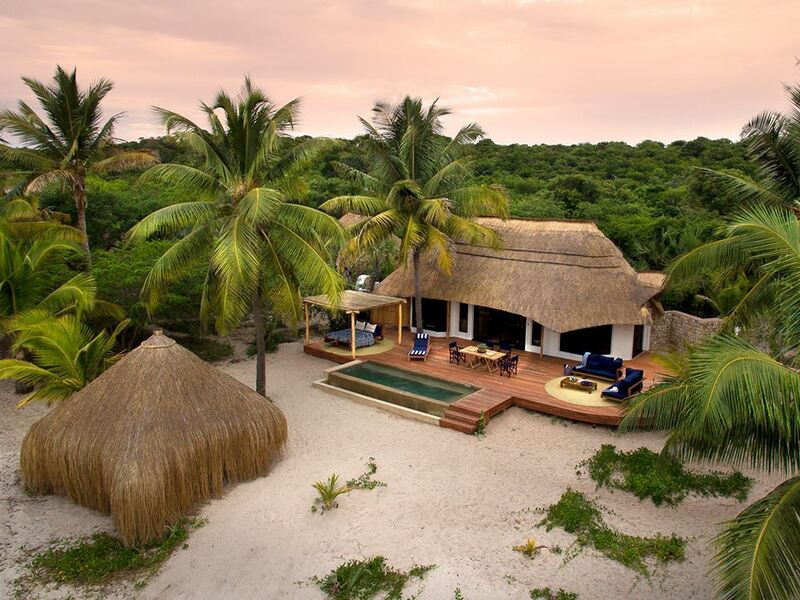 Some of the nicest room decks we've ever seen - complete with a sala day-bed area and stunning private plunge pools! Looking out from the main lodge area at the forest with its squirrels and abundant bird life, the feel is very much that of a game lodge located on the beach rather than in the bush! Not too sure about the blue colonial-style tiles in the outdoor showers with their depictions of giraffe and zebra - doesn't feel very beach lodgey? 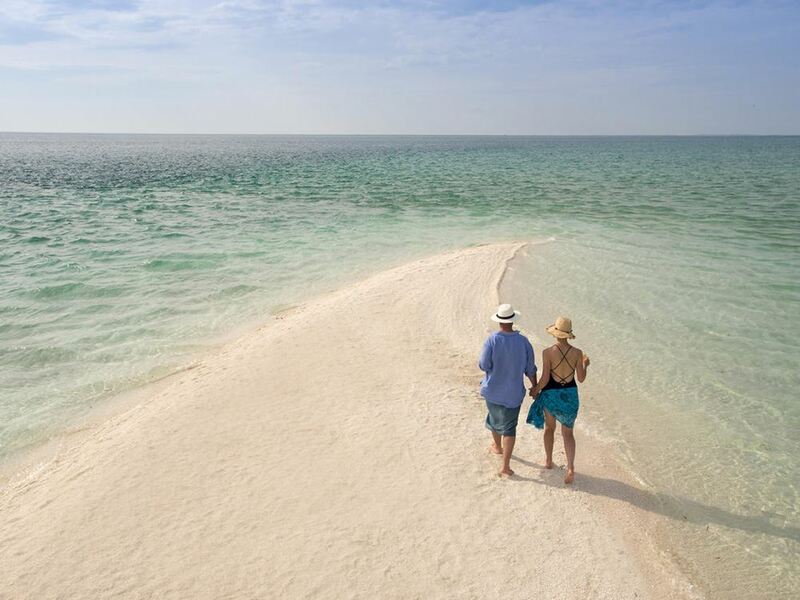 The lodge is situated on the western coast of Benguerra Island, overlooking its own beautiful palm-fringed bay about a kilometre down the beach from Azura. One of the most attractive features is that the lodge was built next to the last remaining tract of forest on the island, which gives it an attractive abundance of greenery that the other lodges on the island lack - in fact sitting on the deck looking out towards the trees with squirrels scurrying about and a myriad birds calling in the forest, the feel is very much like being at a game lodge overlooking a waterhole! There are 2 different room types - the 10 Casinhas and 2 Cabanas – as well as a large and luxurious 3 bedroomed villa named Casa de Familia. 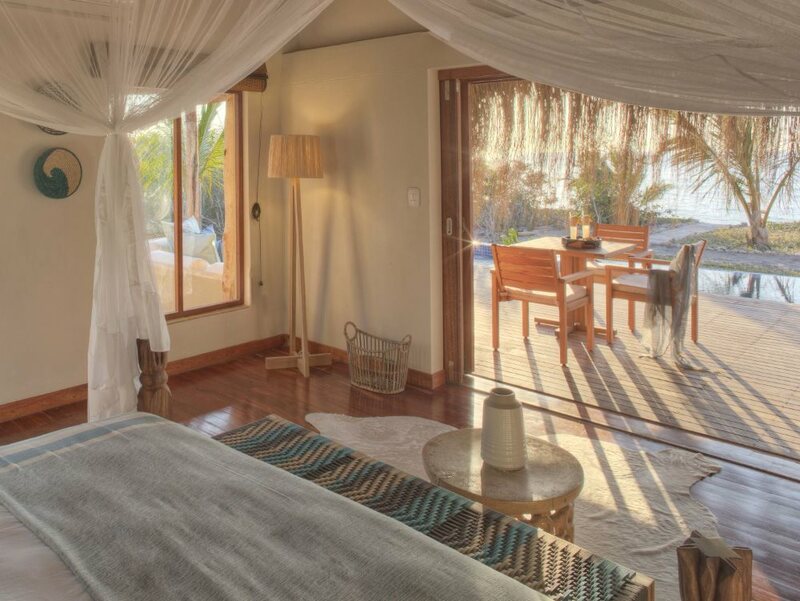 There are just 2 Cabanas and these are the smallest of the rooms at andBeyond Benguerra – having said that they still come with their own plunge pool/Jacuzzi on a private deck overlooking the beach, as well as an outdoor shower. But it’s the gorgeous Casinhas that perhaps best encapsulate andBeyond Benguerra’s unique blend of beach lodge and colonial Portuguese-era style. The rooms boast lovely timber and thatch roofs, colonial-style clay tiled floors and exhibit a restrained and elegant decor style - it's definitely more old style luxury as opposed to some of its competitors with their more contemporary design feel. The highlight for us though has to be the stunning decks, complete with a relaxing sala day-bed area and gorgeous private plunge pools! You could quite happily spend all day just chilling on your wonderfully inviting deck. The lodge was originally built to cater for the many fishermen wanting to target the huge game fish that abound in these waters. Excellent deep sea fishing is still on offer today (and fly fishing for the enthusiasts) but andBeyond Benguerra offers a lot more besides – for a start there’s fantastic diving and snorkelling, kayaking or dhow cruises, enjoy a castaway picnic on a deserted island or perhaps horse-riding along the beach to name just a few. Afterwards relax with a massage in the massage sala, before heading to one of our favourite parts of the whole lodge - the fantastic beach bar in the shape of a classic old wooden dhow pulled up on the sand at the top of the beach next to the pool. 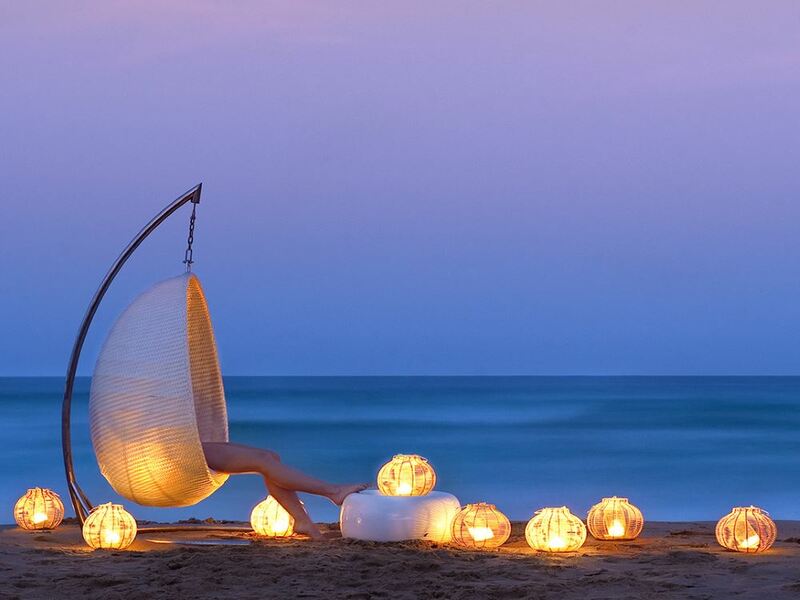 Relax here with a sundowner as you watch the sun set and the moon rise with your feet in the sand and romantic lamps lit all about you! After all that action (or even if you’ve just been lazing all day!) you’ll no doubt be ready for dinner – and here andBeyond Benguerra is unlikely to disappoint either, especially if you’re a keen seafood lover! 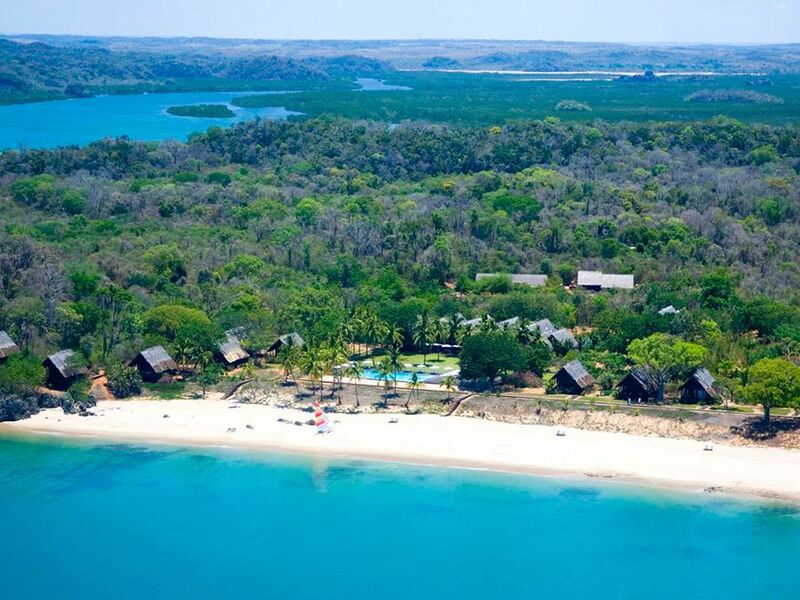 You’ll feast on the freshest fish, Mozambique’s famous prawns and lobster on occasion. Whilst there is a protected dining room under thatch, dinners will often be enjoyed under the stars on the deck or on the beach with your toes in the sand. Ultimately andBeyond Benguerra makes for a wonderful escape from the hustle and bustle of modern life – highly recommended!